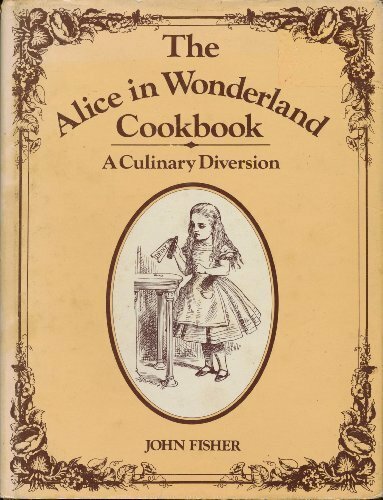 If you’re into all things Alice, and cooking as well, you might enjoy reading this write-up about an out-of-print but amusing Alice-themed cookbook. John Fisher was the author of “The Magic of Lewis Carroll” (Simon and Schuster and Bramhall House, both 1973). This “Cookbook” also has both a British publisher in Frederick Muller (1975) and an American in Clarkson Potter (1976).